Cody is a shape-shifter who lives in a parallel dimension called "The Realms" where next to humans are paranormal creatures of all kinds. He ended up there after dying in the real world and it is forever doomed to have the appearance of a teenager, except when he turns into a wolf. His non-life undergoes a drastic change when he meets and falls in love with Simone, but she does not know his secret. Delightful platonic love story aimed at young audiences but enjoyable for readers of all ages who have not stopped dreaming. Theresa Snyder has an amazing ability to speak to the heart of the reader and involve them in any story she writes, regardless of the genre. I do not often read paranormal stories, but have always been attracted to the gothic genre and seeing it presented in this soft guise particularly amused me. 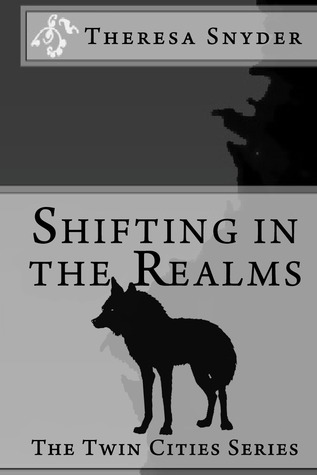 Shifting in The Realms on Amazon.